The newest member of the Lange 1 family is the automatic Daymatic. 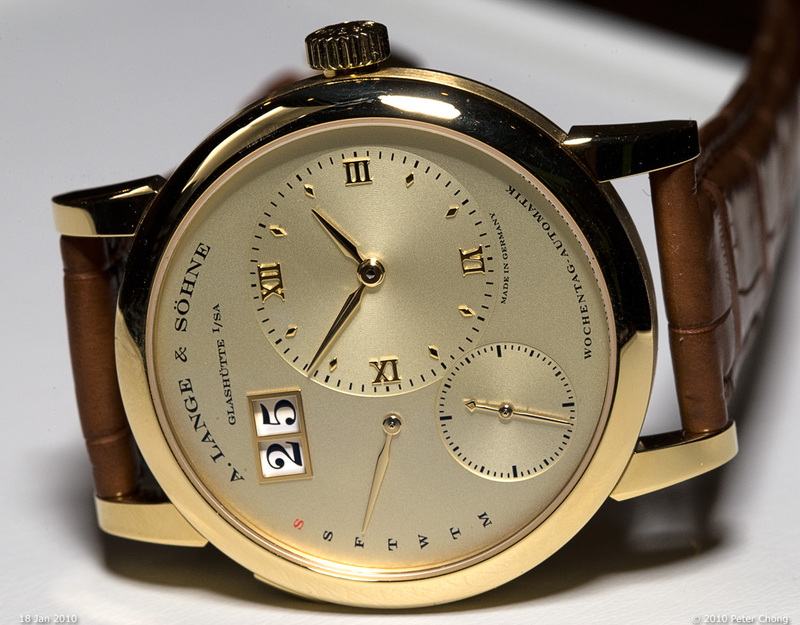 Lange used this as the teaser for SIHH10, and indeed in this forum, Edwin has posted the press releases of the watch. 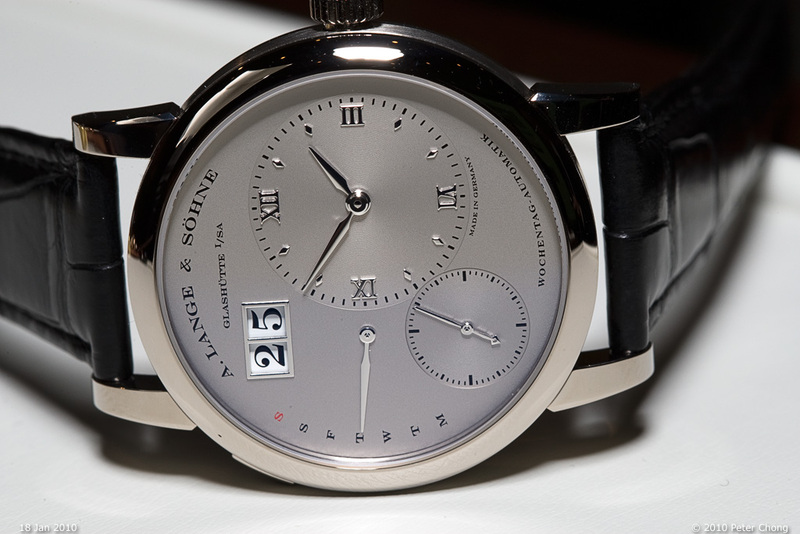 At first glance looks like the regular Lange 1. But its almost a mirror image of the regular 1. 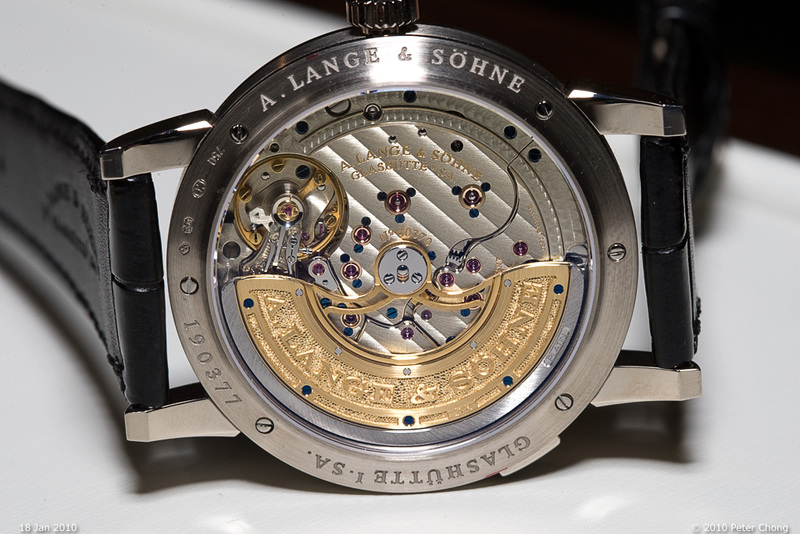 The movement is finished to the usual Lange standard, and the rotor is full sized, featuring a semi-skeletonized finish to allow viewing the full movement. Although it seems just a mirror reflection, this is a completely new movement, featuring 60 hours of power reserve (instead of the 96 hours on the regular Lange 1), and a day of week indicator instead of a PR indicator. 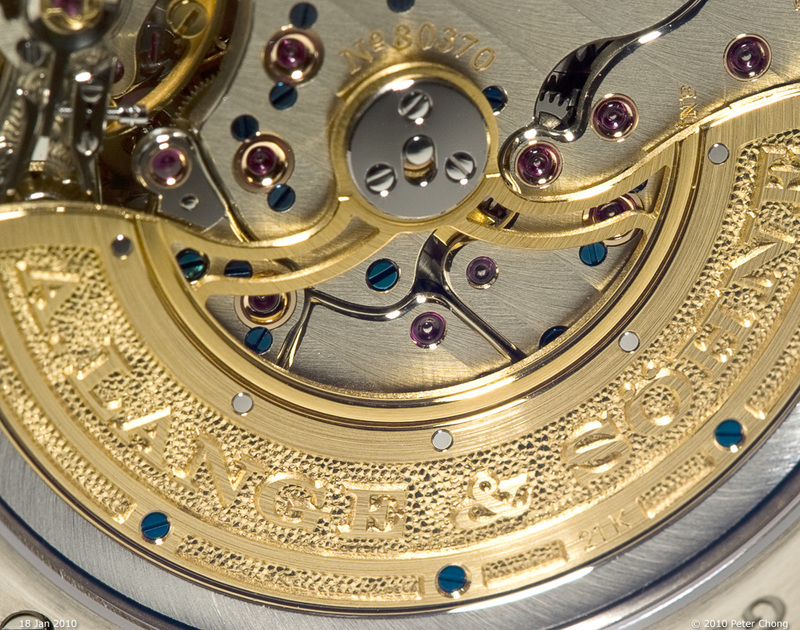 Detail of movement. Note finishing. The very fine anglage finishing. Note also, Lange did not chose to take short cuts in the movement design, retaining sharp in and out turns on the bridges, which mandates skilled handwork. 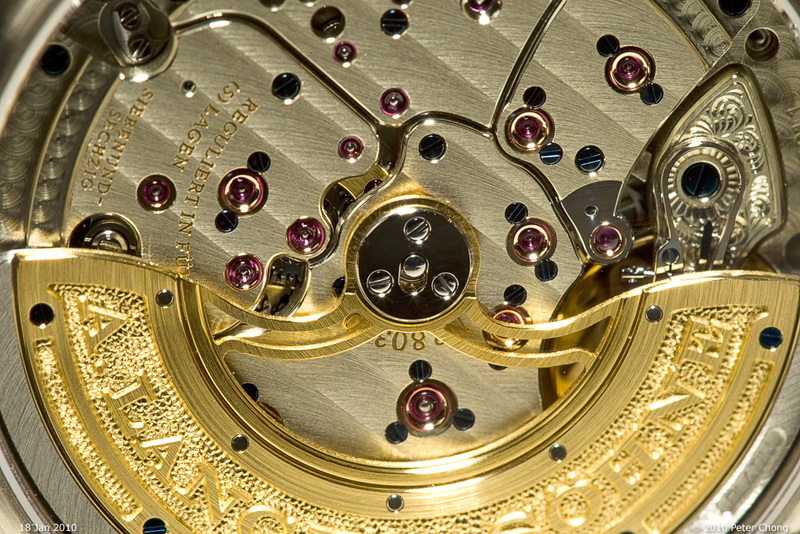 Another view of the movement, turned 180deg, so the part hidden by the rotor in the picture above now is visible. The rotor is very well finished, a standard set by the Langematic mini-rotor is again seen here in the full sized rotor...featuring different kinds of finish to play with the light and providing private pleasures for the owner. Available in RG, YG and plat. Gonna get me one of these in RG...automatic is still the way to go for me.